Medium is well done, but is it the future of publishing? Obvious Corp., the startup incubator that Evan Williams and Biz Stone put together after they left Twitter, launched an ambitious new effort on Tuesday called Medium — a lightweight publishing platform the company says is part of an attempt to rethink how (and presumably also why) we publish content on the web in an age of what our own Om Malik has called democratized distribution. The two previous offerings from Williams and Stone took aim at a similar goal: Blogger was one of the first blogging platforms, and Twitter was the first network to capitalize on the concept of real-time stream-based publishing, or what some like to call microblogging. Is Medium going to be as revolutionary? That seems unlikely — but it’s still interesting. With all due respect, both of those concepts seem somewhat, well, obvious. What else is Pinterest but a collaboration platform that allows users to “pin,” or save, the things they like from around the web (primarily images)? The idea of crowdsourcing quality content through the votes of readers, meanwhile, was behind the rise of Digg and similar communities such as Reddit, and it also fuels much of the viral success of Tumblr. And while the Obvious founders say they want to make it easier for people to publish and share content, you could argue that Tumblr pretty much has a lock on that phenomenon. There are other offerings based on the themes of curation and instant publishing as well: RebelMouse, which was launched recently by former Huffington Post technology whiz Paul Berry and his team, uses your social-networking activity to create a curated page of content that you can organize however you wish, while the Svbtle network arrived in March as a simplified blog platform with a stripped-down design. Of course, both of the things Williams is famous for also looked either unnecessary or unimpressive, and in some cases both. Blogger was cool if you were a geek and wanted your own website, but it was far from obvious at the time that self-publishing was going to become something huge or crack open the media industry in a fundamental way. And Twitter looked so ephemeral (not to mention the ridiculous name) that many people dismissed it as a plaything for nerds that would never amount to anything. So as Aaron Levie of Box.net noted on Twitter, it doesn’t pay to underestimate Williams when it comes to this kind of thing. When you look at Medium, which is still to some extent in invitation-only alpha mode (users can see content, but only a small group of invitees can create it), it looks a lot like a mashup of Pinterest and Tumblr. Like Pinterest, it focuses on the creation of collections that are based around certain topics or themes, such as “Been There. Loved That.” The design, which is clean and a lot easier on the eyes than most blogs or websites, works well with large photographs but not so well with submissions that are just text, which can look a little like a bad RSS reader. As Josh Benton notes in a thoughtful post at the Nieman Journalism Lab, one of the things the platform does that is unlike both Blogger and Twitter is that it subverts the notion of the author as the most important thing about the content. While that personal aspect of publishing has been one of the core principles behind blogging — and Twitter has popularized the idea of a “personal brand” that journalists and content creators develop by connecting with their fans — Medium is focused more on the value of the content, regardless of who is producing it or voting on it. Instead of a blog or collection showing whatever is the newest thing — the typical reverse-chronological format used by most blogs and publishing platforms — Medium sorts according to popularity, in much the same way that Digg does (in a similar way, tools like Prismatic sort items based in part on the social activity around that content). Is the combination of a topic focus and a voting system enough to make Medium something magical, in a way that will propel it beyond Pinterest and Tumblr and the growing cohort of other social-web tools and publishing platforms? I would hate to count it out, but I’m just not sure. There’s no question that publishing needs to be reinvented for the social age, and in their own way services like BuzzFeed and the recently launched Branch (also incubated by Obvious Corp.) are trying to attack different aspects of that. Former Typepad executive and media theorist Anil Dash recently wrote on his blog about how much of the online publishing world is still stuck in the traditional “blog post” mindset, while all around us we are consuming content in streams — whether it’s our Twitter feed, Facebook updates or the curated feeds we get through tools like Flipboard. Does Medium fit into that social-publishing, stream-based world? I suppose it does, although in some ways it feels like a mashup of all the other tools that are out there rather than something with a compelling feature of its own. It’s true that Twitter took a while to take shape — and even its own creators didn’t really know what they had until users started inventing new ways of using it. So is Medium the future of publishing? That’s hard to say, but it is certainly an interesting piece of an ongoing puzzle. 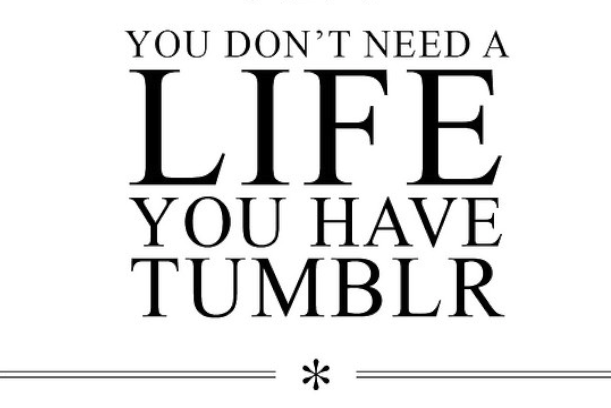 Hard to understand what the differentiation point from Tumblr is (social?). Facebook is a publishing platform, one that has a defined audience in place (your Friends), something most platforms cannot provide. Twitter does but the audience is only peripherally engaged as it flits by too fast. That’s why I don’t have long term faith in their viability. What they have so far is a good start but hardly compelling. When you can offer the same kind of granularity that multiple content form factors offer so that tailoring the medium for individuals creates a completely unique process, then you will be halfway there. The other half is the platform wide delivery that maintains constructed relationships while ensuing the democratic nature of the real -time stream. Just found this. Really? Who cares to read anything anyone writes that is not paid to write it or is to lazy and or unskilled to run their own blog? More mind numbing nonsense, “When I Was A Kid Under A Rock Before The Internets And Cameras Used Film And I Could Not Publish Or Even Type!” who cares? Sorry but having had a few thoughts on this in the last 24 hours I would not put any money on this. First we are seeing business awaken to leave Facebook because they cannot own and control their own content. Real life is also seeing real writers getting away from the model of providing free content to cool domained sites. In reality “Medium” is just a CMS that is a trying to be cool, nothing new to see. Are they going to pay content providers? Who cares if these guys started blogger? Started Twitter? I went over there and unlike some in our industry was not impressed at all. In fact is was just weird! Weird styling, Weird content, No place to make a comment. Some kind of idea that the chosen there are the smartest guys in the room when in reality the entire internet idea is in a flip flop where coders become irrelevant with writers and photographers again taking their natural place at the head of the table. The sad truth is most of these guys and their ideas are just boring. Stream-based consumption definitely not going anywhere because it fits so well in mobile UX. What does need to change is objects and social distribution by interest in that object. Closest social publishing platform to the future by far and away is Quora. Publishing is more of a technology and CMS challenge than a content challenge. Medium is *interesting. Very curious to see what Ben & co. at cir.ca has cooked up. 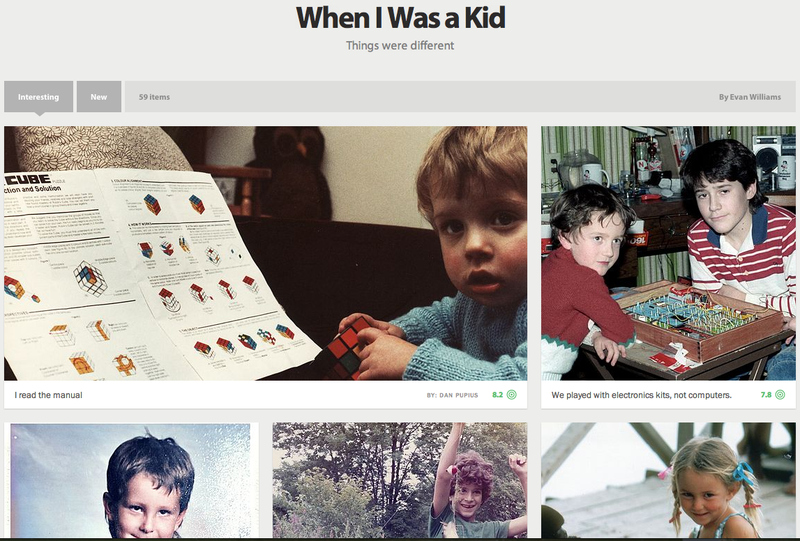 What Twitter lads did next… But do we need another blogging platform? I have still not understood the product. I have my site at wordpress where I publish my thoughts. Why would I need another platform to publish?